Stains are one of the most irritating detriments to their investment that a pool owner can endure. To address this problem, the source of the stain must be identified, and the appropriate solution introduced as soon as possible. Metal or rust-based: Metals can accidentally be introduced into pools from well water or corrosion from copper pipes. Organic: Leaves, berries, and other organic debris can also leave stains if allowed to settle on pool surfaces. These stains are most likely organic stains caused by leaves or other plant matter. 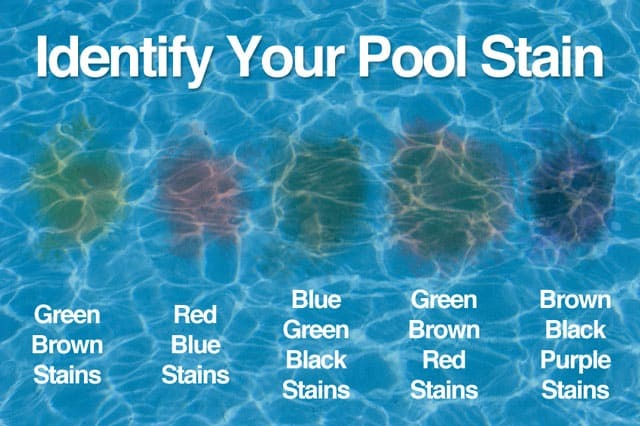 These stains are more than likely from brightly colored berries; check the area around the pool for the offending bush. When a stain is a mixture of dark blue, green and black, and there is no evidence of organic matter, it is likely to have been caused by copper. This combination indicates iron as the culprit. This dark color combination is caused by manganese. Once you’ve got a good idea of the cause of a stain, it’s time to test the theory and confirm the source of the problem. If an organic stain is suspected, try applying a small amount of chlorine If you click this link and make a purchase, we earn a commission at no additional cost to you. directly to it. An organic stain will come away easily. Metal stains, on the other hand, react best to ascorbic acid, which is vitamin C, most often found in citrus fruits. 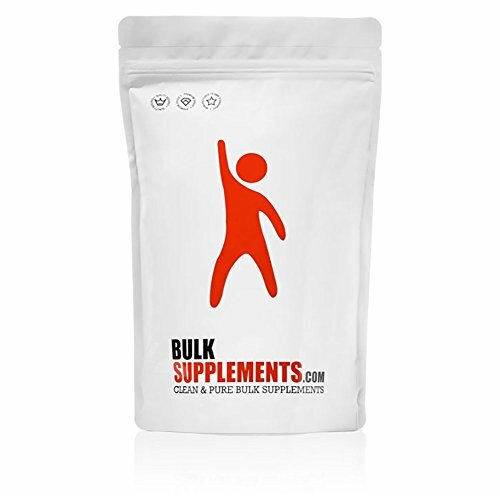 The best method is to apply some ascorbic acid powder If you click this link and make a purchase, we earn a commission at no additional cost to you. to the stain, and see if it is removed or lightens. Organic stains are best addressed by super chlorinating the water, then brushing. First, test the water to ensure the balances of pH If you click this link and make a purchase, we earn a commission at no additional cost to you. and alkalinity If you click this link and make a purchase, we earn a commission at no additional cost to you. – pH should be between 7.4 and 7.6, while alkalinity should be between 100 and 150 ppm (parts per million). Use can use test strips If you click this link and make a purchase, we earn a commission at no additional cost to you. to test the water. 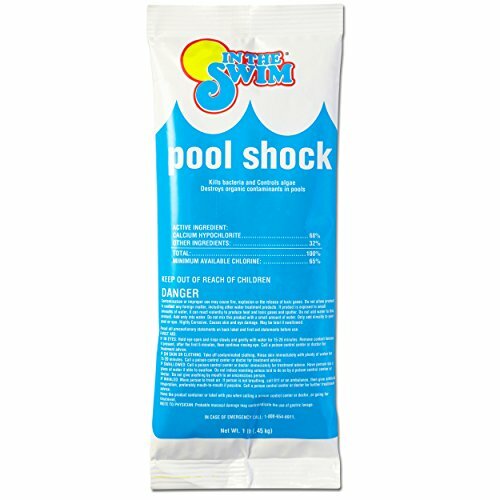 For multiple or large stains, the water should be triple shocked by adding 3 pounds of calcium hypochlorite pool shock If you click this link and make a purchase, we earn a commission at no additional cost to you. for every 10,000 gallons of water. Remember always to shock at dusk, or at night, for best results. Once it’s been shocked, thoroughly brush all the stains If you click this link and make a purchase, we earn a commission at no additional cost to you. , then let the pool circulate for at least eight hours. Continue to brush the stains intermittently, and keep the chlorine level high until the stains are finally gone. Metal stains can be a little more difficult to get rid of, but they’re not impossible. 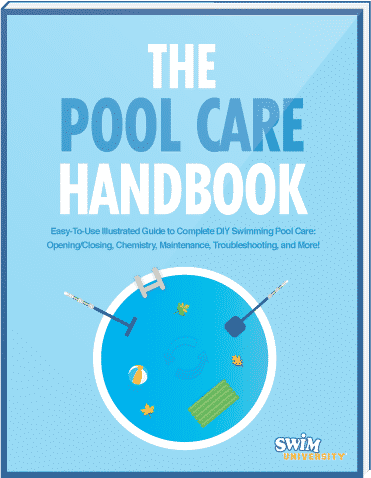 The first step is to take a water sample to your local pool care retailer to determine exactly what kinds and levels of metals are plaguing your pool. After that, you can use a metal stain remover If you click this link and make a purchase, we earn a commission at no additional cost to you. to treat the stains on your liner. Use the remover according to manufacturer’s instructions, brushing the stain to help the process along. 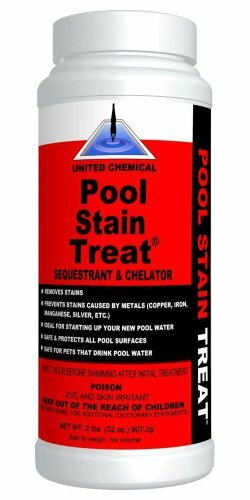 Preventing pool stains is as important, easy, and important as any other facet of pool maintenance. To keep organic stains from forming, make sure to keep the correct level of sanitizer (i.e. chlorine) in the pool at all times. Make sure pH and alkalinity are balanced, to keep the sanitizer working properly. Keep your pool clean by regularly vacuuming If you click this link and make a purchase, we earn a commission at no additional cost to you. (manually or with an automatic pool cleaner) and skimming the surface of the water. The best preventative measure against metal stains is to test water regularly for the presence of metals, and address it before stains form. If your pool is prone to metal contamination due to well water or other factors, be sure to use a metal sequestrant If you click this link and make a purchase, we earn a commission at no additional cost to you. 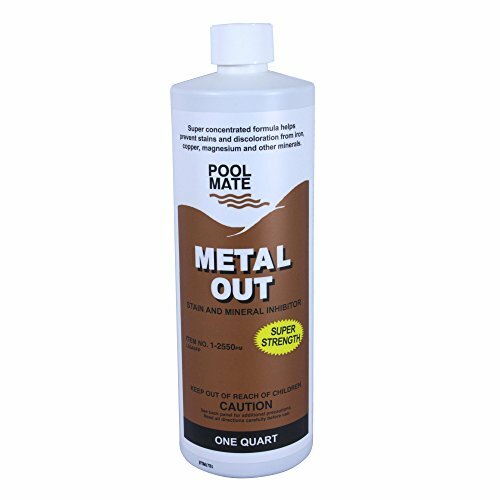 to prevent metals from binding to pool surfaces. In the case of a copper problem, it’s worth noting that low pH can also cause a recurrence of stains. Low pH indicates acidic water, which corrodes copper and introduces it into your pool. Adjust pH levels accordingly.